Noni is an outstanding 'medicinal food', and can play an important role in any regenerative programme. One should not look upon Noni as just another superfood to be used to help overcome existing health problems, but also as a way to help tune up a health situation that is not actually as good as it could be. It is a strong preventative measure against both disease and the normal deteriorations associated with old age. This is because Noni acts, almost uniquely, on stimulating the endocrine glands to produce the secretions that are required for normalisation of health and metabolic function. One of the most important of these is the continued production of melatonin to ensure good sleep and repair into old age. Noni also acts effectively on the nervous and immune systems making it quite an awesome medicinal fruit. It's reputation is well deserved. Noni is harvested and processed using traditional methods. This ensures "Grade A" 100% purity and potency. Noni grows and is harvested from wild plants where no pesticides, herbicides or synthetic fertilizers have been used. 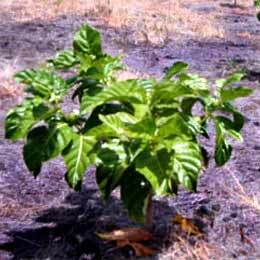 100% pure Noni, no fillers such as stems, leaves, or bark. Noni was originally used to treat diabetes, high blood pressure and heart problems. People taking Noni as directed have reported experiencing noticeable and, in many instances, remarkable results in their various conditions. Noni has many reported benefits as listed later in this article, although many of the problems it can help with are better addressed with other products in our range. Our primary reason for including Noni in our range is for it's hormonal benefits with relation to disease prevention and body deteriation due to aging. We feel these are the strong points of this supplement. Noni can be quite difficult to integrate into ones regime in the sense that it's energising qualities may lead to intermittent disturbed sleep and strong detoxification symptoms during the adaptation phase which may last one or two weeks. Initially, it may be better to limit intake to just one capsule daily, 5 days per week. Therefore, by stimulating the pineal into seratonin and melatonin production there is a resultant benefit to all of the above listed glands and their functions in the body. Noni also mimics the secretion coming from the pineal gland as well as acting as a precursor to it, so building it up and allowing it to function fully. Extracts of Noni have been shown to contain a naturally occurring component which activates serotonin receptors in the brain and throughout the body. Serotonin is a neuroendocrine compound which along with its receptors is found in high levels in the brain, the blood platelets and the lining of the digestive tract. It is well established that serotonin is an important brain neurotransmitter, and plays a significant role in temperature regulation, sleep, hunger and sexual behaviour. Serotonin deficiency has been implicated in a number of pathological conditions including migraine headaches, obesity, depression and Alzheimer's disease. The efficacy of the central analgesic activity of Noni to alleviate pain of many types has been demonstrated. It has been revealed that moderate doses of Noni were measured to be about 75% as effective as an equivalent dose of morphine sulfate. Noni is often referred to as the headache fruit due to its long standing reputation in alleviating headaches and migraines. 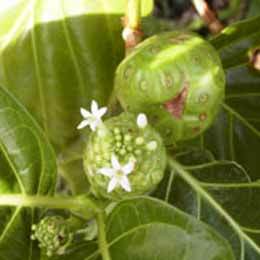 The Noni plant is a small evergreen tree that grows in South Pacific nations on beaches and in forest areas up to 1,300 feet. It has been used for centuries to treat heart problems, diabetes, high blood pressure, arthritis, and other degenerative ailments. It has recently been brought back to popularity as new and exciting scientific findings have been released. 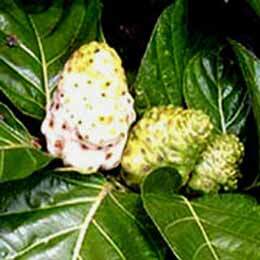 Most recently, a federal grant was given to the University of Hawaii to study Noni as a possible cure for cancer. People taking Noni on a consistent basis have experienced remarkable recoveries from various medical conditions. Noni is harvested and processed using traditional methods. This ensures 100% purity and potency. Noni grows and is harvested from plants where no pesticides, herbicides or synthetic fertilizers have been used. Noni has been used by native people living in Noni fruit growing areas of the South Pacific for thousands of years. It was well known in local folk history as a survival food source in times of famine, even though it does not taste all that good. 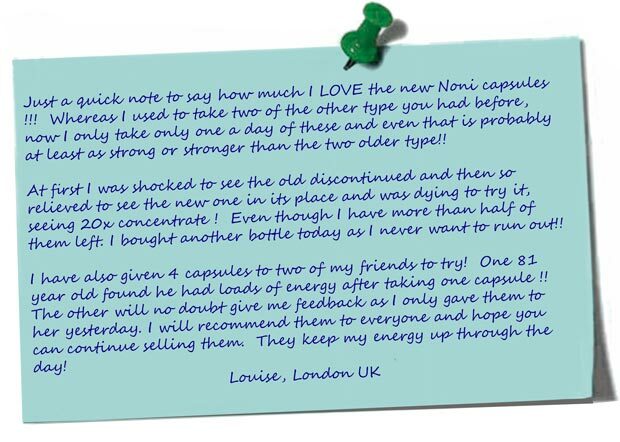 Many users are loyal to Noni products because they have experienced successful relief of problems. This is important, but clinical results will carry more weight as conclusive evidence. These natural products do have important phytochemicals, macronutrients, micronutrients and other elements that are known to be beneficial to the human body. They are an important part of folk medicine and alternative medical treatments. 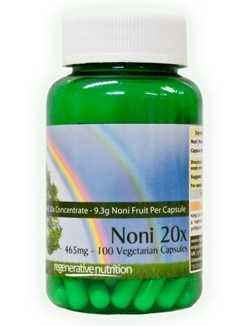 The way Noni works within the body cells is to open them up to better reception of nutrients. The back of the eye has a black area called the macula which is pigmented with melanin. That is the area the light hits when your eye opens. Many people have difficulty with blindness because they no longer produce sufficient melanin to colour in that spot. Noni helps the macula generate more pigment and the cells begin to return to normal, and the blindness sometimes reverses itself. Diseases related to an area of the mid-brain called the substantia nigra occur when it no longer receives pigment and begins to deteriorate. Diseases in this category include multiple sclerosis and Parkinson's disease. Appropriate function of the pineal gland is important in restoring those cells, and we are seeing patients reversing some of their neurological problems because the Noni is stimulating the production of chemicals essential to those areas of the brain. The pancreas is also affected by Noni as blood sugar and blood pressure begin to normalize. Men often find that their prostate glands are beginning to shrink down to normal size once they have been using Noni for just a short period of time. Women who have problems with their uterus or with fibroids etc. are noticing that the fibroids are beginning to disappear, that their menstruation is beginning to normalize, they have less cramps and their bleeding problems become more in balance. Noni has a variety of other reported uses, including. Perhaps the most convincing claims for the benefits of taking Noni supplement come from people who have used Noni in order to relieve their cancer symptoms, and enjoyed remission and even full recovery from this terrible disease thanks to the benefits of Noni. Noni first came to the notice of the public at large as a health product, derived from the fruit of the Great Morinda plant that is found across South East Asia where it was used for generations as a cure for almost any complaint that you can think of. When Noni was first introduced in the west, it was used by people of all walks of life as a supplement to their diet and a means to relieving the symptoms of some common complaints including asthma, but remarkably, many people with advanced cancers who used it for its well known properties as a source of natural pain relief reported that their cancer symptoms were alleviated , and that in some cases, their recovery coincided with the time when they started to take the supplement. At first medical researchers were skeptical about the claims, but soon they found it difficult to ignore them any more, and began to investigate them properly, and get to know more about what was so special about the make up of the Noni fruit that made patients report almost miraculous relief. Complete investigation of Noni fruit found that it contained huge numbers of anti oxidants. Anti oxidants help the body to cope with the free radicals that cause aging and have been linked to the cell damage that can often be the starting point of cancer. Studies found that the chemicals in Noni had a number of positive effects on cancer patients. Perhaps the most profound aid that it has is that it helps to prevent cancer by reducing the number of free radicals in the body. This is done by preventing the development of so called cancer adducts caused by damage to cellular DNA spreading through neighboring tissues. We strongly recommend that you read our full information on cancer care here, as we do not recommend that Noni be relied upon as a sole cancer care supplement. We feel other remedies in our range are more appropriate for this purpose, based on current knowledge and experience.